This page:UHH > CEN - Center for Earth System Research and Sustainability > Press, Outreach > What's new in climate science? Once a month, CEN and CLICCS researchers present their projects in Hamburg’s daily newspaper Hamburger Abendblatt. Read about our academics’ latest discoveries! Anke Müller developed a computer program that can help identify the best candidates for future conservation areas. Elisa Schaum researches the effects of climate change on Marine algae. Dr. Saskia Otto is researching how our seas are doing and which protective measures make sense. Annette Eschenbach researches the effects of climate change on soils and plants in the city. 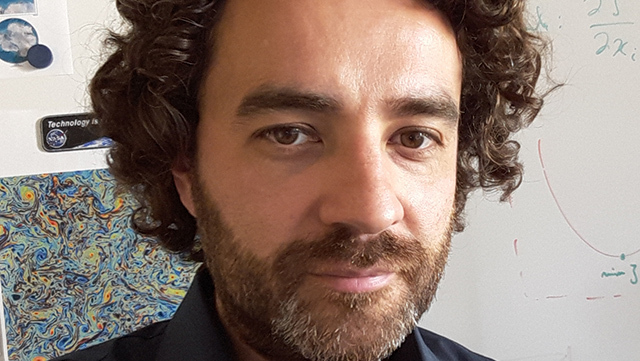 Agent-based modeling allows researcher Jürgen Scheffran to simulate human behavior. 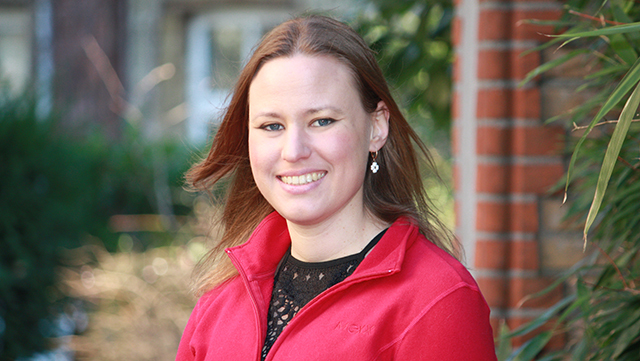 Corinna Schrum is an oceanographer analyses how climate change affects the North Sea. Heike Konow is a meteorologist and measured the clouds near the Caribbean island Barbados. Daniele Vieira do Nascimento about technology diffusion and the flex-fuel boom in Brazil. Ulrich Riller explains his research on extraterrestrial meteorite impacts and the behavior of the sourrounding material. Michael Brüggemann is analyzing the media coverage on climate change — for example during the climate conference. Will the climate phenomenon El Niño mean a harsh winter for Hamburg? Anja Jeschke developed a mathematical model that allows to accurately simulate extreme scenarios. Dr. Werner Krauß is a fellow of the Cluster of Excellence in the project "Understanding Science in Interaction". Prof. Dr. Hans von Storch is one of the HZG and professor at Universität Hamburg. He solved the case of the warming temperature in the Baltic region. Dr. Christiane Fröhlich is working at Universität Hamburg’s Institute for Peace Research and Security Policy. 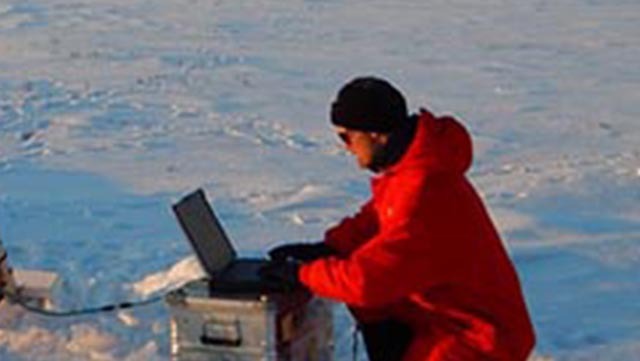 Dr. Nina Maaß researches remote sensing methods for Arctic ice at the Cluster of Excellence CliSAP. Dr. Liang Yang is a geographer at Universität Hamburg’s Cluster of Excellence CliSAP. He has developed future scenarios for China’s Pearl River delta. Will Climate Change Fertilize the Sahara? Prof. Martin Claußen, Director of the Max Planck Institute for Meteorology (MPI-M) has analyzed whether climatic warming will revegetate the Sahara. Geologist Dr. Katharina Klehmet has applied a regional climate model to one of the remotest terrains on the planet: Siberia. Geophysicist Dr. Gholam Ali Hoshyaripour has analyzed the modulation of ash iron in volcanic plumes. What is the Value of the Rain Forest? Dr. Daniel Plugge holds a Diplom in wood science. He is working for Universität Hamburg’s Institute for World Forestry. Jasmin Link combines Mathematics with Sociology and answers the question what typewriters have in common with climate change. Variations in Ocean Currents: How Accurate can Prognoses be? Parents, the Media or Al Gore – who Shapes our Ideas About the Climate? Ines Schaudel is a communications expert. She has investigated how climate change is perceived from the perspective of media audiences. Micro Fossils Provide Information: Is the Level of the North Sea Really Rising? Mathematician Oliver Kunst has developed methods for shortening climate simulation cycle. What’s Fair when it Comes to Environmental Protection? Sociologist Andreas Schmidt has analyzed varying international perceptions of fairness in handling climate policy. Paleoclimatologist Eduardo Zorita explains how to identify climate-relevant hints about historical cloud coverage in tree rings. Ralph Rösner is a biologist. His doctoral dissertation analyzes how climate change has affected the Plußsee, a lake in Schleswig-Holstein. Inga Schlichting is a communications specialist. Her research focuses on the question whether climate campaigns help energy corporations establish a positive image. Michael Funke is a professor of macroeconomics and quantitative economic policy at Universität Hamburg and research fellow at the CESifo Group Munich. Michael Link has investigated whether climate change may increase the potential for armed conflicts triggered by water scarcity.